Here we go! This is my first post. For the last two weeks, we have been “off the grid”! Imagine that. So this is the first time I have been able to post. Exactly one month ago today, we took off on this new chapter of our lives! Full-time RVing! So far, it’s been a blast. We started in Grass Valley – at the great Father’s Day Festival, as most of you know, and we were there for 2 weeks. Then we went north to Susanville, California for the Susanville Bluegrass Festival. Beautiful Mountains and great Bluegrass! Next, we traveled East, across Nevada and Utah to Colorado. Our first stop was in Gunnison, Colorado. We stayed at the Lakeside RV resort which was very nice, but no phones and limited internet! Longest week for Randy! While there we visited Black Canyon National Park which is awesome! We also went up (and I mean Up!) to Crested Butte Colorado, a funky ski town. It was beautiful up there. I will post more about it later. Now, we have traveled on to Westcliffe, Colorado. 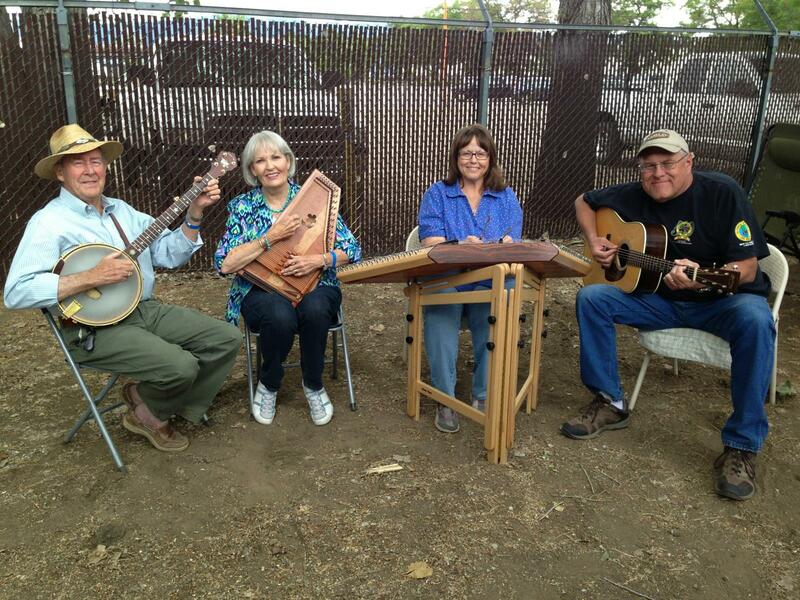 Next week is the Westcliffe Bluegrass Festival hosted by our favorite Dry Branch Fire Squad Band! Looking forward to seeing them after a few years. We are staying at a great park called Grape Creek RV Campground. Finally, better Internet. Phone is still off and on, but you can try us! I will be posting more fun facts and pictures as soon as I figure out how! Haha! Those of you that know me well, will be amused by that! So, we miss you all and we hope to see you down the road! 6 Responses to Hello Friends! How exciting!!! So, happy for both of you. Looking fwd to your posts!!! Happy travels. Hugs!!! Do you find much difference in bluegrass styles across the country? Margie said to tell you hi. Just trying to figure out how your blog works. miss you guys. Hi Jon! Randy’s photo website isn’t connected to the wandering worleys site. His is independent from mine! We are still learning! It is amazing how little time we have had to work on our sites. Having too much fun! Give us a little time, we are almost done with the Bluegrass festivals, then we head to Texas and we will have a lot more time to get it right.